Employees spend an average of five hours every day at their office desks, which companies are rightfully paying for. There are times, however, when an employee's output does not match the time they spent working on it. Thus, it is important for managers or employers to be aware of how employees spend their time at work. In this case, cell phone spy software is the perfect tool you can use for employee monitoring. 1. Don't be overly strict about internet use in the workplace. Many employers have very tight restriction over the use of the Internet in the workplace. This is their way of preventing the misuse of their computers as well as to discourage workers from wasting their time surfing the web. However, it is a fact that many things can be done and tasks accomplished more efficiently if workers are allowed to surf the web freely. A good example is the use of the internet, particularly social media for marketing. According to studies, marketing on social media can play a huge role in helping employees and businesses grow. Thus, it would be to your advantage if you let your employees use social media for advertising your business. Besides, there are several types of surveillance equipment you can use to monitor their Internet activity. 2. Consistently evaluate employee productivity. Before you can measure the level of productivity and the quality of performance of your employees, you first need to set goals for the team, with results that are easily measurable. Take note also that in order for productivity stats to be improved, there should first be some reporting numbers. That way, you will have a clear idea of what has to be improved in the workplace, and how your employee performance can be enhanced. 3. Do not forget the importance of brain breaks. While it is important that you monitor employee productivity to ensure the stability and success of the company, you should not forget that your employees are humans, too. Thus, they need a break from time to time. You can help your workers become more creative, enthusiastic and productive by allowing them to take short vacations. In the long run, it is the company who will benefit from this. When it comes to monitoring your employees, there are various tools or devices you can use, such as Highster Mobile for tracking a cell phone. With the help of such technology, you will be able to let your employees enjoy some freedom at work, while at the same time ensuring that no company resources are wasted and misused. This entry was posted in For Employers and tagged cell phone spy software, surveillance equipment, tracking a cell phone on October 23, 2015 by admin. Whether it's in the form of downloading company information, sharing confidential data, stealing merchandise, or manipulating financial reports, employee theft is a serious issue that business owners have to address. According to studies, occupational fraud can lead to significant loss in an organization's revenue. As a business owner, this poses a huge challenge, especially when you are still in doubt if employee monitoring, such as with the use of Highster Mobile spyware, is necessary. One of the ways you can prevent fraudulent employee behavior is to avoid hiring a fraudulent employee in the first place. During the hiring process, make sure you do strict background checks on your candidates, especially those who are applying for positions that deal with cash or have access to confidential information. It's surprising that many employers skip checking applicants' references. It is good practice to check on a candidate's references to know if the former has a history of any fraudulent behavior in their previous workplaces. Reference checks will also give you an insight of the kind of person and professional a job candidate is. Although a code of conduct may not totally prevent fraudulent behaviors from happening, the standards you set will serve as a legal basis of what employees can and cannot do in the workplace. It is important for employees to have a clear understanding of what is expected of them, so they would also be aware of the consequences of doing something that goes against their code of ethics and conduct. Employee monitoring is common practice these days mainly because of the availability of a wide range of inexpensive monitoring tools. Cell phone tracking, for one, is very popular as it allows employers to see how workers are using their time at work. With the help of Hyster Mobile phone spy, you can see if any of your employees are getting unauthorized access to company information. Spying on your employees' phones also allows you to locate them through the software's GPS feature. Cell phone spying can play an important role in your ability to monitor your employees' activities in the workplace. Through this, you can also protect your confidential information and valuable merchandise from being stolen or illegally utilized. And when it comes to cell phone monitoring, there is no other name to trust but Highster Mobile phone spy. It has all the important monitoring functions and features that will give you all the information you need about your employees. This entry was posted in For Employers and tagged Highster Mobile, Highstermobile, Hyster Mobile on October 15, 2015 by admin. There has been a heated debate on whether it is right to spy on employees. According to a CBS report, some companies are even hiring private detectives to check up on their employees! While the lawmakers are yet to come up with a solid solution to this issue, it is all right to monitor your employees without their knowledge. However, there are conditions. First, the company must have issued the phones, because it is a criminal offence to track someone’s personal cell phone. In addition, you should only do this if it is for business reasons. While there are many software that claim to be the best in monitoring employees, Highster Mobile is incomparable. Everything is possible with this one, and it's a fantastic cell phone spy product available right now on the market. What are some of the legal things to monitor over your employees? The costs of phone calls have always caused financial qualms in many businesses. Fortunately, this is something you can manage with less effort. The software allows you to monitor all the incoming and outgoing calls. This way, you can know how your employees use the company’s cell phones. You can get loads of information from the calls including which they called their relationship with them and what they talked about. Highster Mobile app helps you to save your company money as well as guard its privacy. It is possible to record the conversation, and thus you are able to know when an employee is breaching the privacy of your business and act accordingly. It is all right if you want to track messages on the business cell phone. Here you will be in a position to view all the sent and received messages in the phone. Text message spy also allows you to gain access to those deleted texts. Usually, most employees have a tendency of deleting messages, which they know would put them in jeopardy. With the cell phone monitoring software, you can get ahead of them. Checking whether employees are at their duty locations. One of the most important capabilities that smartphones now have is knowing where they are. More than desktops, laptops, personal navigation devices or even tablets, which are harder to take with you, a smartphone can combine its location with many other pieces of data to make new services available. Your employees know too well that you can check their cell phones. Hence, you will be lucky to find the URL of that nasty site that they were browsing in the morning hours, but not when you have the software for monitoring the cell phone. It has the capability of uncovering all the sites, which has opened over time. Some employees are notorious for using company cell phones to chat on Whatsapp, Skype and the like. They do this because they know it is hard for their employer to access these messages. However, you only need the Highster Mobile app to read such messages, as long as they were sent or received with the business cell phone. With that, you now know that you can spy your employees without getting into legal tussles. All you have to do is to keep it professional and reproach those who need to, after you have enough evidence. Visit https://www.highstermobile.com/features.html to see all the features of this great cell phone monitoring software. This entry was posted in For Employers, Highster Mobile App and tagged cell phone spy software, cell spy phone cheap, does cell phone spy software really work, download cell phone spy, download cell phone spy software, free cell phone spy software without installation, how can you spy on a cell phone, how do you spy on a cell phone, how does cell phone spy software work, how to block cell phone spy software, how to cell phone spy, how to download spy software on cell phone, how to install cell phone spy software, how to install spy software on cell phone, how to secretly spy on a cell phone, how to spy on a cell phone without access, how to spy on cell phone calls, how to spy on cell phone without access to phone on May 26, 2015 by admin. You have already invested a lot in your business. You cannot wait to get the returns. The only way to achieve success is to have the best team by your side. With all the investment you have made, you cannot afford to let anything to jeopardize your business growth and reputation. You are certainly prepared to do anything to curb that from happening. Do not worry because Highster mobile app will help you to sweat the small stuff, while you deal with other operations of your businesses. What does the mobile tracking software do? Cell phones are an integral part of businesses nowadays. It seems the landlines are paving way for the mobile technology, for many good reasons. They are easy to use, portable and cost-effective. However, if you fail to control their usage, your business could face losses, especially when they are used for irrelevant purposes. That is where Highster Mobile comes in handy. It becomes your eye to watch over your employees. This way, they are forced to deliver results and in return, your company’s revenue shoots up. For instance, in a call center, it will be an injustice to the company and to your customers if a call agent decides to hold on clients’ calls to do their own things. 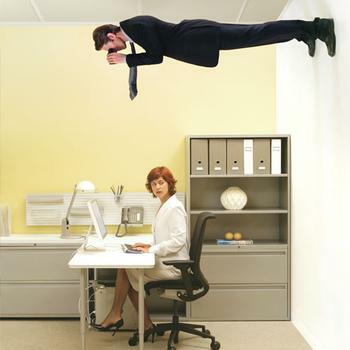 The remote monitoring software ensures that employees do not laze around, since they know that they are being watched. As a rule of thumb, it is important to inform employees that you intend to install the software. This keeps them alert and focused. With time, they will not need to be monitored. What are the capabilities of the mobile monitoring software? Generally, cell phone monitor software enables you to track all the activities of the employees. They may be the workers in the field far off the premises or even those who are onsite. No matter the distance, the software is capable of gathering all that information. Usually, good software allows for time restrictions, memory wipe, backup and restoration of information and web filtering. It should also be able to give GPS locations, allow a number of users in a single account, give access to calls, notes and iMessages as well as unlocking web history, phone usage and photos. There is also the text messages spy. This is what Highster application is capable of. With all the aforementioned features, you can be sure that you will have full control over your employees. When your staff knows that you are watching, they will not dare to do anything that is out of line when it is time to work. Pay less on your mobile phone usage bills by using software that costs you less, but with long lasting benefits. Remember; the input into a business determines the outcome. Do not let anything whack your dream of climbing to the pinnacle of the business ladder. You are the boss, conduct maximum surveillance with minimal effort. Install the Highster software from highster mobile com and then get the reports whenever you want. Other businesses have done it, may be most of your competitors, and you too should consider this solution. This entry was posted in For Employers, Highster Mobile App and tagged app to spy on cell phone, best cell phone spying software, best spy software for cell phones, cell phone monitor software, cell phone spy, cell phone spy tracking, cell phone tracking, does highster mobile work, Heister Mobile, highster, Highster Mobile, highster mobile app, Highster Mobile customer service, Highster Mobile for iPhone, highster mobile review, Highster Mobile scam, Highstermobile, highstermobile.com, how to track a phone location, Hyster Mobile, Hyster Mobile reviews, Hystermobile, intercept text messages, mobile cell phone spy, mobile phone tracking, mobile tracking app, phone tracking app, remote monitoring software, spy on text messages, text message spy, text message tracker, text spy, text tracker, track a mobile phone, www.highstermobile.com, www.highstermobiles.com on May 19, 2015 by admin. Spying on a person's cell phone can be a tricky thing, since usually you're looking to stay pretty 'under the radar' when doing so. Whether its to not tip off employees that they're being watched or to allow your child to have their freedom, you don't want to ruin a good relationship by being caught spying on them. In this article I have assembled tips and tricks for spying on someone's cell phone. Always know what you're using the software for. Make sure to always be within legal parameters. Make sure all intallation isn't seen. What are you going to do if the target phone is lost or stolen? Store login information not in plain sight. Use proactive measures where you can. Export information for custom reporting. Look to use the best cell phone monitoring software you can find. Adopt a "help" excuse when possible. All 10 tips are great ways to help ensure that you are not caught spying on a phone. The biggest help when spying on someone is to have a good, reliable cell phone spy software, such as Highster Mobile. This software is completely legal and secure. You only need the target phone for about 2 to 3 minutes to install the software and then you can monitor that phone without a trace. Highster Mobile can monitor all texts, calls, emails, social media and so much more. One of the biggest pluses to this software is the secure control panel. This is where all of the information that gets extracted and presents itself exactly as it appears on the phone, even if the information has been deleted. You have an exact copy of everything from the phone, which means this software can also be used as a safeguard for important company information. This control panel allows you to see EVERYTHING! A positive spin to this software as well is the GPS location capabilities. The GPS location feature is able to track the exact locatio of the phone in real time. So let's say your son or daughter loses their very expensive iPhone and don't know where they left it. You can use the Highster Mobile cell phone monitoring software to find exactly where it is and retrieve it. Cell phone monitoring can be extremely helpful to parents, employers and anyone trying to monitor someone's cell phone activity. Visit www.highstermobile.com for more infomration on Highster Mobile's top-of-the-line features and compatibility. This entry was posted in For Employers, For Parents and tagged cell phone tracking, Highster Mobile, Highstermobile, highstermobile.com, how to track a phone location, Hyster Mobile, mobile phone tracking, mobile tracking app, phone tracking app, remote monitoring software, text message tracker, text tracker, track a mobile phone on May 5, 2015 by admin. In today’s society, who can you really trust? Do you strongly believe your employees are being completely honest with you, especially when they are on their own for majority of their shift? You’ve worked so hard to build a brand and you’ve put in so much effort as an employer, so why should you be a victim to employee theft? Just google it. Not only do customers steal, but sometimes an employee may steal from you as well for various reasons. Perhaps you sent your employee to a customer’s house to do an estimate for new ceiling or floor tiles. Your employee takes pictures of the tile work that needs to be done and tells you that the customer changed her mind and doesn’t want the work done anymore because it’s too expensive. What if your employee decided to complete the work for a cheaper price without telling you, and pocketed the money? There’s millions of stories of various employees (particularly movers and freelance contractors) who take advantage of their employers trust by stealing and doing things for a cheaper price. They know this is morally wrong. 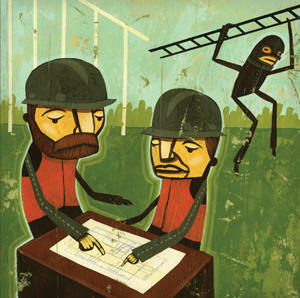 Don’t be a victim to employee theft – it’ll discredit your company in more ways that you think. But stealing isn’t the only thing you should worry about. What if your employee was supposed to be at one of your valued customer’s houses at 12pm and its 1pm, and they still aren’t there? Now you have your customer constantly calling because your employee was supposed to be at their house, ready to start the job. . Not only are you now losing money, but this will also discredit your company. Words spread like wildfire, and negative reviews sometimes outshine the positive ones when someone is researching your company to do work for them. People tend to turn to trusted sites such as Google and Angie’s list to determine which company they want to use for their needs. Would you want your company to get low rating just because one of your employees is stealing or not doing the job they are being paid to do? Studies from the Report to the Nations on Occupational Fraud and Abuse found the 2014 median loss caused by occupational fraud was $145,000 – and that’s just employee theft. That doesn’t include theft from customers. How can we protect our money and ensure employees are doing what they should? Highster Mobile is an excellent cell phone monitoring app that will allow you monitor your employees from afar to ensure work is being done in a timely manner and that business theft isn’t taking place. Say your employee hasn’t shown up yet for a 12pm appointment at Mrs. Parkers place. No problem. You can pinpoint your employee’s exact location with our GPS tracking feature. If Mrs. Parker suddenly rejects your company estimate (when your employee finally decides to show up, and reduces the price from $1,000 to $650 for a new full tile installation, and decides to keep the money for himself) now you can monitor any photos or activities that are done on the target phone. You will even be able to access our Stealth camera which allows you to take a photo of your employee’s surroundings, so you’ll be able to see what he’s doing at that exact moment. Keep your company in good terms and monitor your employees today. This entry was posted in For Employers, Highster Mobile App and tagged cell phone spy software, cell phone tracking, how to track a phone location, mobile phone tracking, mobile tracking app, phone tracking app, remote monitoring software, text message tracker, text tracker, track a mobile phone on April 24, 2015 by admin. Messaging apps have finally caught up to social networks in user numbers and now dominate mobile”, according to a Yahoo Finance article. “Put together, WhatsApp, Facebook Messenger, WeChat, and Viber have 2.125 billion monthly active users globally (users who accessed the apps at least once in a 30-day period). And these are all mobile users.” This number is significant since it does not include any desktop population! With this rise in numbers, it’s clear that messaging is here to stay. Besides the normal chat, messaging apps have seen a rise in popularity because sharing photos can be easier through a messaging app. And it’s far more private to share a laugh with one friend through chat than risk offending your entire friend network on Facebook. Way back in time electronic mail was revolutionary and changed the way business was conducted. Incredibly, text messaging started even prior to that in December 1992. The first text message was a simple holiday greeting sent from a Canadian engineer. 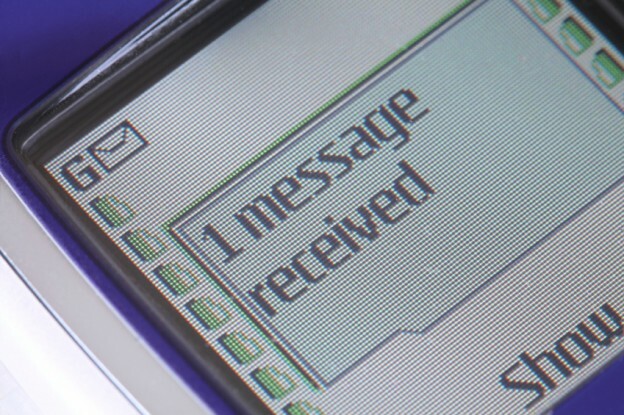 The article states that “On December 3rd 1992, a 22-year-old Canadian test engineer sat down and typed out a very simple message, ‘Merry Christmas’ It flew over the Vodafone network to the phone of one Richard Jarvis, and since then, we just haven't been able to stop texting.” So we’ve evolved from text messaging, to email, to chat messaging, and the next amazing form of communication is just around the corner. With all these forms of communication evolving, how can an employer keep up with the changes? Here’s a fact: a company can definitely benefit from a phone tracking app like Highster Mobile to stay current with the times. If you’re an employee and need to issue company mobile phones, a cell phone spy software can aid in recovering all messenger chat messages. This could be beneficial in two ways: to restore any crucial information that might be exchanged in a chat, or to make sure an employee is only chatting about business issues on their Facebook messenger, WeChat or Viber. Each phone gets a unique license key that provides all access to an employees’ phone: call logs, email, photos, videos, GPS location, and yes, even chat messages. Once the application is installed on a target phone, Highster Mobile takes over and opens up a world of chat messages that the employer didn’t even know existed. In this rapidly changing world it’s imperative to protect your business and your bottom line at all times. Highster Mobile can help. This entry was posted in For Employers, Highster Mobile App and tagged app to spy on cell phone, does highster mobile work, Highster Mobile, Hyster Mobile, mobile phone tracking on April 10, 2015 by admin. The need for a cell phone monitoring solution in the workplace is more important than ever. Of course, the protected rights of workers are crucial towards the success of any business, and that’s usually what ends up in the headlines. But what about the rights of the employers? The Wall Street Journal recently reported that there are benefits to cell phone spy tracking: among them, reduction in theft and an increase in productivity. Efficiency in the workplace equals a healthy bottom line for any company. These type of questions and more can be answered with Highster Mobile’s powerful software and robust reporting. The installation process only takes minutes. Once installed, you’ll have access to all of your employees’ calls, texts, social media activity, GPS location, and much more. Imagine this: you now have access to all of Dave’s whereabouts, Monica’s calls, John’s texts, Chris’ social media life, and Steve’s foreign friends. 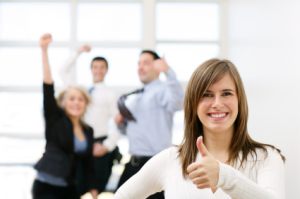 All of your company profits are riding on the success of your employees. How can you afford NOT to monitor? The Highster Mobile app works by extracting information from the target phone and displaying it in a secure online account. All the target phone’s information can be viewed in multiple ways: on a cell phone, tablet or computer. It’s like having an in-company IT detective that can also be portable. Then you, as the employer, can take proper steps to reduce employee mistakes. We’ve all made mistakes in our personal lives that we wish we could take back, and too often the same mistakes are repeated on company time. Your businesses reputation is on the line at all times. You’re responsible for the safety and well-being of employees, and monitoring company-issued phones can aid in keeping the organization safe and secure. You worked hard to maintain a professional demeanor and a high standard of quality, and your profits should reflect that. America’s modern organizations are more and more dependent on the ease of communication. Don’t let that communication be compromised! Highster Mobile can easily reduce organization inefficiency before it spirals out of control. This entry was posted in For Employers and tagged business efficiency, business productivity, highster mobile app, highstermobile heister mobile hystermobile hyster mobile reviews on April 3, 2015 by admin. Mobile phones have made communication more convenient not only within the workplace, but even outside the workplace. Through wireless communication technology, it is possible for employees to make and receive calls without necessarily sitting at their desks. Also, cell phones are beneficial for other professionals and sales staff perhaps, who are required to work outside the office. Despite all these, the use of mobile phones in the workplace also has some disadvantages. This could explain why more and more companies are relying on mobile spy cell phone tracker and programs. In this post, we are going to talk about the negative effects of using cell phones in the workplace. Whether it is in the form of work-related calls or personal calls, mobile phone communication can affect an employee’s work flow. Anyone with a cell phone can make or accept calls any time. What happens is that they need to stop what they are doing to receive the calls. This definitely decreases worker productivity. To prevent this, many organizations now buy cell phone spy software particularly for company issued mobile phones. This way, they could monitor the kinds of calls employees make or take while at work. It then makes it easier for managers to pinpoint who among the group needs to be reprimanded regarding this. Another negative effect of relying on cell phone communication is that it can rob workers off their time to be away from work. The workplace is a stressful environment, of course. And so we all look forward to the end of the day or weekends so we could spend time with our loved ones. But having a company mobile phone makes us available for calls related to work. This may result to increased employee stress and reduced motivation. Mobile phones are often used to access the internet, making it an excellent tool for file-sharing. Although this is meant for convenience, it has also been used to commit crimes. Stealing data from your company is a crime, and sadly, many employees do this in exchange for money from rival companies. Businesses know that there is always a threat to their data security, which is why many have invested in software and app for spying on cell phone. With this software, companies have the ability to track their workers’ cell phone activities, which is vital in data security. Highster Mobile spy cell phone tracker is a reliable monitoring tool that can improve company data security and employee productivity. The features of this software allow employees to gain control over how their workers use their mobile phones in the workplace. Highster Mobile comes with a number of great monitoring capabilities and features. Know more about mobile spy monitoring by visiting https://highstermobile.com/. This entry was posted in For Employers and tagged app for spying on cell phone, apps that spy on you, auto forward, auto forward reviews, auto forward spy reviews, auto forward spyware reviews, best spy mobile phone software, buy cell phone spy software, cell spy mobile, how to spy a mobile, how to spy mobile, how to spy on a cell phone without having access to it, how to spy on a cell phone without having it, mobile call spy, mobile phone spy, mobile phone spy android, mobile spy cell phone tracker, mobile spying softwares, mobile spyware apps, remote phone spy app, software spy mobile phone, spy a mobile, spy call mobile software, spy mobile monitoring software, spy software for mobiles, spyware on a cell phone, top rated cell phone monitoring software on October 23, 2014 by admin. How Exactly Do Businesses Benefit From Cell Spy Mobile Apps? One of the major problems that organizations and companies always have to deal with is corporate theft. Even small businesses often end up being a victim of such crimes. The saddest part here is that in many cases, it is their own employees who sell off their company’s data to competitors. This form of betrayal is so difficult to track and so is finding people who are really trustworthy. The good news is that cell spy mobile apps are available now, which can help enhance businesses’ data security. Mobile phone apps that spy on you are a great technology indeed. They come with several features that make monitoring really easy. But how exactly can a business benefit from such software? 1. To monitor social media activities and chatting. When managers learn how to spy on a cell phone without having it, they basically get access to the social media and chatting activities of their workers. As you can imagine, getting your staff to do more in a shorter period of time results to greater productivity. With the help of mobile spyware, you can monitor the amount of time your staff spends on chatting with other people. What’s more, you have the option to block certain apps on the target phone to make sure employees won’t waste their time with such apps. 2. To improve travel practices through GPS tracking. Another amazing feature of cell spy mobile software is the GPS tracking. Through this, employers will be able to monitor their staff’s travel costs and itinerary. This is such a powerful tool that could result to the company incurring lower travel expenses for their workers. 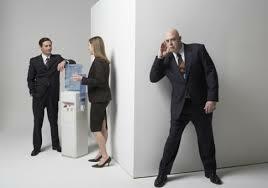 By getting reports on the location of the target phone, employers would also know where they user exactly is. This could guarantee managers that their workers are where they are supposed to be. 3. To protect company computer system from viruses. When someone surfs the internet, there is always a risk for the device to be affected by viruses. When this happens, all company files and data will be in danger, especially from hackers. One way to avoid this is to block those websites that are potentially harmful to the system. By using mobile apps that spy on you, employers can have a way to know which websites their people are always visiting. They also have the option to block certain sites they think are harmful. With all the powerful features of cell spy mobile software, there is no doubt that companies can now have a monitoring tool that will boost data security and employee productivity. With Highster Mobile spyware, you can have total control in your hands. Check out https://highstermobile.com/ and get to know its other cool features. This entry was posted in For Employers and tagged app for spying on cell phone, apps that spy on you, auto forward, auto forward reviews, auto forward spy reviews, auto forward spyware reviews, best spy mobile phone software, buy cell phone spy software, cell spy mobile, how to spy a mobile, how to spy mobile, how to spy on a cell phone without having access to it, how to spy on a cell phone without having it, mobile call spy, mobile phone spy, mobile phone spy android, mobile spy cell phone tracker, mobile spying softwares, mobile spyware apps, remote phone spy app, software spy mobile phone, spy a mobile, spy call mobile software, spy mobile monitoring software, spy software for mobiles, spyware on a cell phone, top rated cell phone monitoring software on October 20, 2014 by admin.